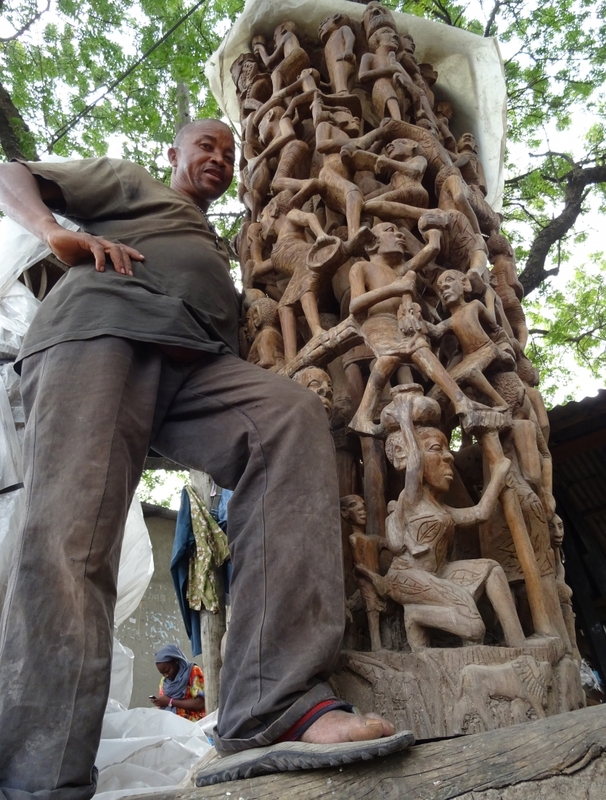 "The Family tree: Makonde carving"
In the 1950's, many Makonde woodcarvers left northern Mozambique and settled in Tanzania, including in the capital Dar-es-Salaam. One of the styles of carving they practice is called Dimoongo ("power of strength"), which is also called Ujamaa (after the political movement in post-colonial Tanzania). Usually, Makonde carvers use African blackwood (Dalbergia melanoxylon), but this species is now scarce, so this Ujamaa "Family tree" is carved from Pterocarpus angolensis, a species that is also logged unsustainably for local trade and for export to China, where it is an unofficial "hong mu" (red wood) species.